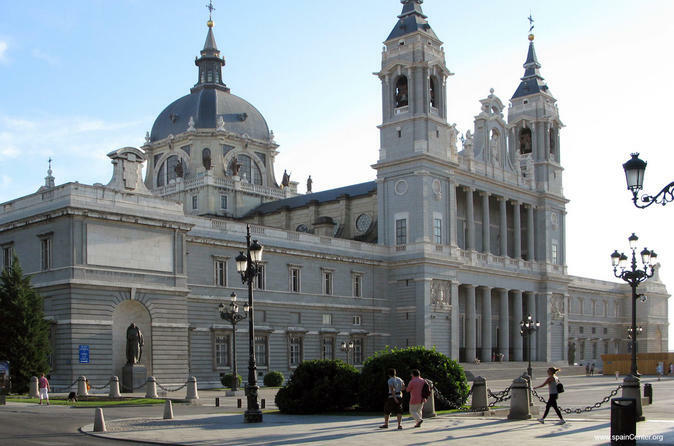 This is a tour designed to show you the most impressive examples of Madrid’s historic and artistic heritage with explanations from an official tourist guide. The tour is divided into two parts, each of which lasts approximately 2 hours. In the first part you will be able to see Madrid from the comfort of your vehicle, with explanations from an official tourist guide. Puerta de Alcalá - El Retiro park - Atocha station - Prado museum - Neptuno fountain - Cibeles fountain - Colón square - Nuevos Ministerios - Bernabéu stadium - Castilla square - The Four Towers - Serrano street - Gran Vía - España square - The Royal Palace. After that, we will leave you and your guide in the ‘Plaza Mayor’, for an accompanied walking tour. You should choose the itinerary you would like to take. To help you with this, we suggest the following routes, though you are very welcome to request something different with your guide, if you wish. This guided circuit will take you to the emblematic sites of ‘Old Madrid’, so that you will be able to see and enjoy the exceptional artistic riches of the ‘Villa de Madrid”. Itinerary: Plaza Mayor - Plaza de Oriente – Viaduct – Vistillas - La Paja square – San Andrés square – Costanilla de San Pedro - Cordón street - La Villa square. From ‘Plaza Mayor’ to ‘Paseo del Prado’ you can stroll through an area of urban growth which took place between the reigns of the Austrias and Borbons. This is ‘Las Letras’ district; the neighbourhood where Cervantes and other contemporary writers lived. Itinerary: Plaza Mayor - Puerta del Sol - Santa Ana square - Las Huertas street - El León street - Prado street - Las Cortes square. Itinerary: Plaza Mayor - Cava de San Miguel - Conde de Miranda square - La Villa square - Mayor street - San Nicolás street - Plaza de Oriente - Isabel II square - Arenal street - San Martin street - Postigo de San Martin - Callao square - Puerta del Sol. Madrid city has a large number of old markets which have been transformed into real gastronomic spaces..
Would you like to visit the most important markets in Madrid? Itinerary: San Miguel Market (San Miguel square) - Las Flores Market (Tirso de Molina square) - Antón Martín Market (5, Santa Isabel street) - San Fernando Market (21, Embajadores street) - El Rastro Fleamarket (Cascorro square).